Lamborghini has been on a roll lately. 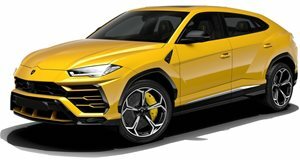 The Aventador SVJ coupe and roadster have made their respective debuts, the updated Huracan Evo has arrived, and the Urus SUV is on sale with high demand. We just learned from Lamborghini’s CEO, Stefano Domenicali, a fourth model line, a grand tourer, is on the way but not for several years. In the meantime, a couple of iconic Lamborghinis will soon be celebrating anniversaries. The Countach will turn 50 in five years’ time while its Diablo successor will be celebrating its 30th in 2020. 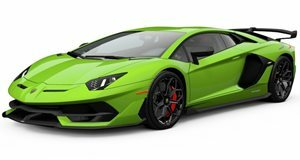 According to Autocar, Lamborghini has very much taken note of these occasions and plans are currently being made to celebrate. How so? Domenicali refused to answer outright, which is understandable, but nor did he rule out reviving old nameplates. What he does want to do is "celebrate the anniversaries of these models in the right way.” Again, he provided no specifics but he’s fully aware of the significance these two icons represent for so many. "We are developing something special to celebrate these models that were very important to the brand,” he added. Obviously, there’s still plenty of time for the Countach’s big 5-0, but the Diablo’s three-decade anniversary is just around the corner. Chances are, Lamborghini will bring to market some sort of ultra-limited model similar to say, the Sesto Elemento, as a way to celebrate. But the big question is what will that model(s) be called? Will there be a new Diablo coming next year? A new Countach in 2024? Would it be sacrilegious to do so? It really comes down to the application. 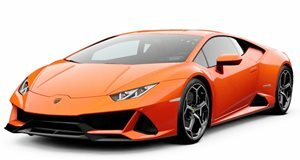 If Lamborghini finds a way of honoring both supercars the way they should be with very expensive and limited production models, then why not? But if the plan is to simply slap a Countach or Diablo "Limited Edition” badge onto the Aventador’s successor and call it a day then many will be disappointed. But we think Lamborghini knows exactly what it’s doing. We’re confident it’ll make the right decisions.